Four-digit LCD always shows the time remaining in hours and minutes. Program it in 1-minute increments from 19 hours and 59 minutes to 1 minute. 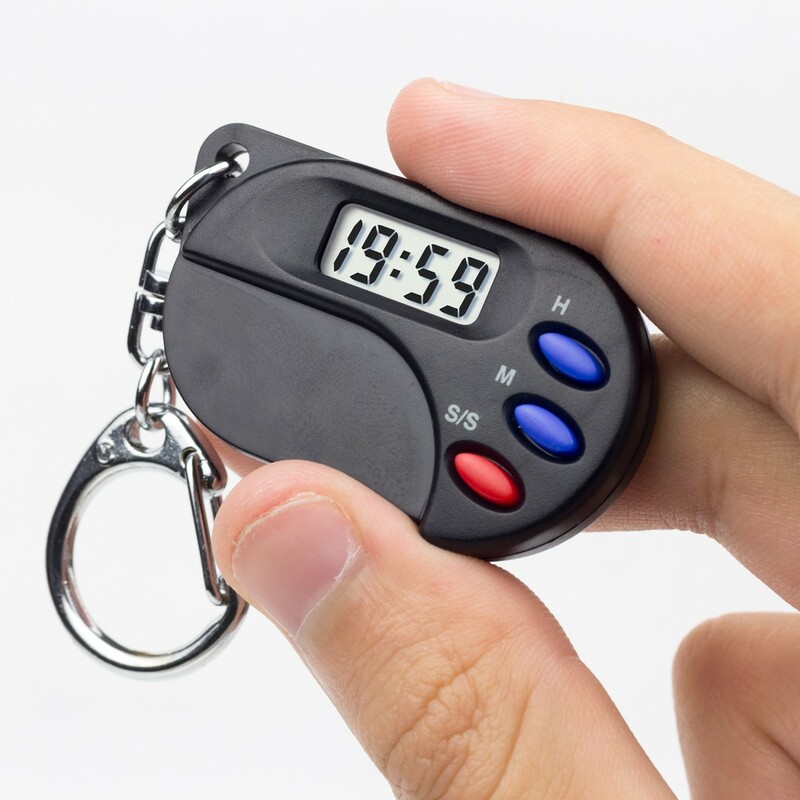 At zero, a beeping alarm sounds for 60 seconds or may be silenced manually. 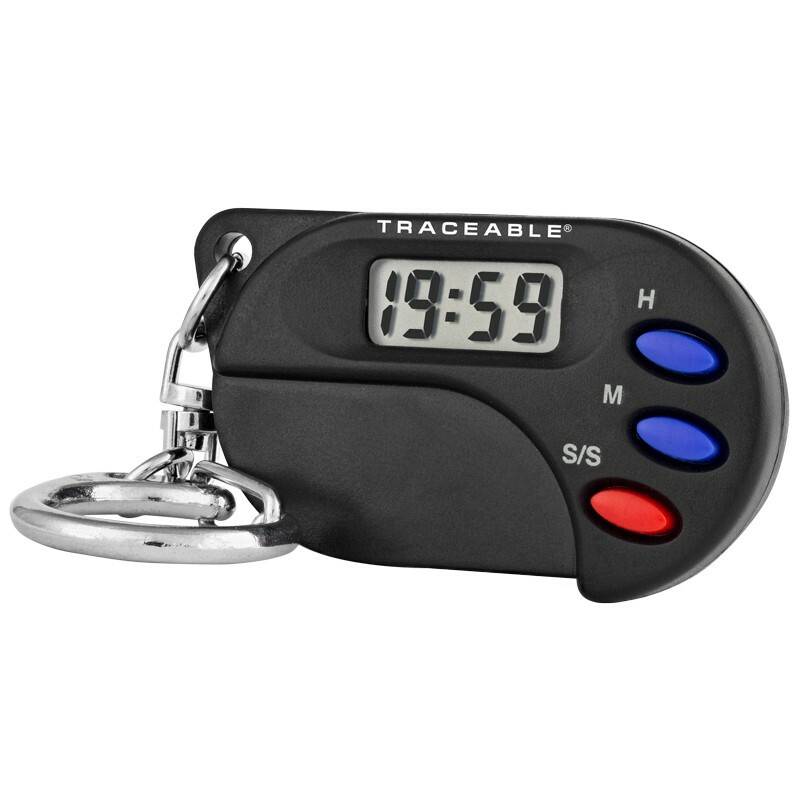 In the stopwatch mode, it times from 1 second to 20 minutes and then rolls over. Also has a timeout feature in both up and down counting. Digits are 1/3-inch-high for ease in viewing. Three-key operation is fast. Resolution is 1 minute and quartz-crystal accuracy is 0.01%. 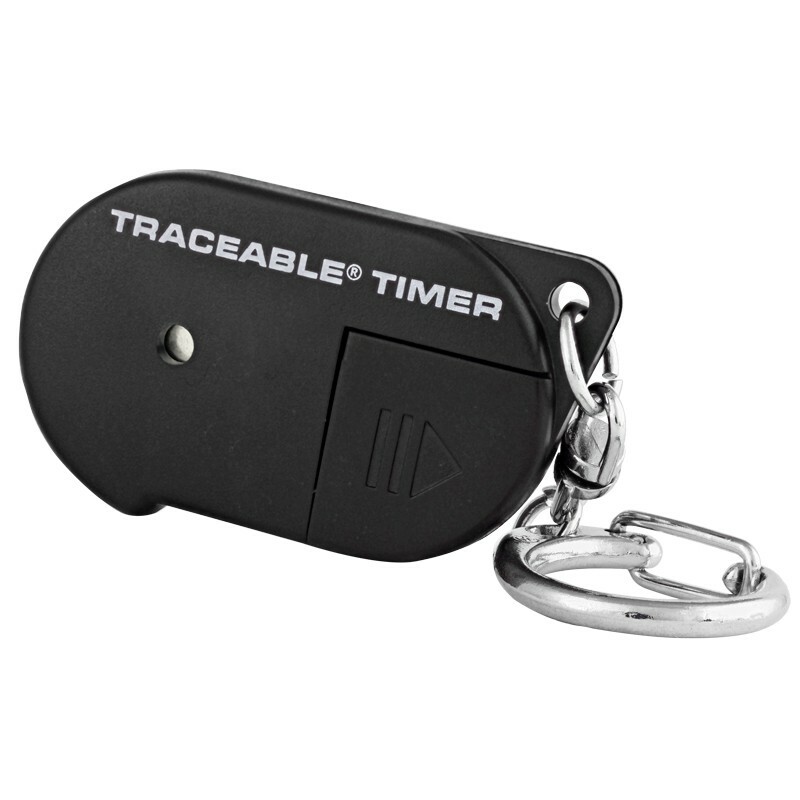 Traceable® Certificate, Rugged Chemical-resistant ABS case, key-chain, and replaceable battery.